Hyperbaric oxygen is the best kept secret for fighting infections! Life can not exist without oxygen and water. Hyperbaric oxygen therapy (HBOT) is a method of delivering extra oxygen to the body. With HBOT, oxygen is delivered under pressure in a chamber. Under a pressure of 2- to 4-psi (pounds per square inch), oxygen dissolves into all the body’s fluids—including blood, lymph and cerebral spinal fluid, which surrounds the spinal cord and brain. These fluids carry extra oxygen to the tissues, even where there is poor circulation or blockages. Hyperbaric oxygen is the best kept secret for fighting pathogens of bacterial, viral and fungal. It has been shown to be effective with eliminating powerful bacteria like MRSA, viruses involved with HIV and many other diseases. Every year a new virus, bacteria or disease is going to threaten your happiness and health. To prevent it, you need to line up for some vaccines—according to the pharmaceutical companies and their alliances. This fear creates billions of dollars in revenue for doctors and big pharma. Fear of flu, shingles, chicken pox (a benign childhood illness that children should get to strengthen their immune system), etc. Fear propaganda works—people line up for the medical intervention with no consideration of long term effects. However, everything catches up with you later. Your health is weakened and fatigue sets in—no one thinks it could have been all the immune tampering in the past. It’s just aging. Well, it is not aging to be confused and slow at 50 years old. Prevention is best. If you live in fear of illness or just want to strengthen the immune system try a hyperbaric oxygen chamber. Hyperbaric oxygen is the best kept secret for fighting pathogens of bacterial, viral and fungal. 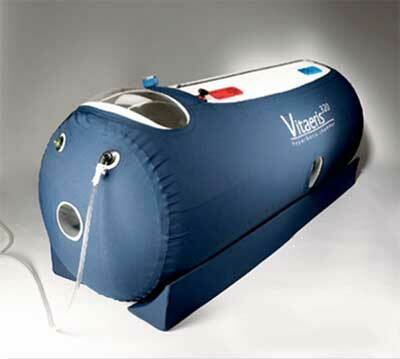 If I had cancer or any type of infection viral or bacterial, I would be in the hyperbaric chamber every other day. Especially since I do not take antibiotics and have not taken any in 25 years. With the new threat of ebola virus, hyperbaric oxygen would be one of the treatments I did. Hyperbaric oxygen treatments are available at the Brannick Clinic.